When Baby Aurelia moved onto some solid foods a few months ago, it brought a whole new world of considerations to the parenting table. Suddenly, food was no longer exclusively located just under my cotton t-shirt! It had to be prepared, cooked, pureed, cooled, stored at the proper temperature, and then toted around in bags, containers, bottles, cups, and more! Suddenly, we needed gear. We have reached that stage of parenting, the one where you have to make at least three trips to and from the car before you can even get your keys out of your pocket once and for all! Not being much of a "gear" kind of girl, at home I made do with what I had around me, for the most part. Wanting to steer clear of toxins, I pretty much exclusively use glass for reheating and storing my baby food (or I use BPA-free plastic when it comes down to it). We don't have any "special" baby dishes for this--I simply use my glass soup bowls for Baby's meals, too. I was also fortunate to be gifted a reusable stainless steel sippy cup for water and other cold drinks. These items have been doing the trick for us, especially around the house, but they do have their downfalls for use with small babies. That's why when Linda of Sandbox Lane said she'd like to send me out a package of baby feeding gear, I was all ears and couldn't wait for the parcel to get here! Linda and her family started Sandbox Lane just a few months after their first baby was born. They were keen on creating a store that sold eco-friendly products at affordable prices because they themselves could never seem to find a store that had everything they wanted all in one place. In selecting products for their family-friendly, eco-conscious shop, they decided they would only sell products that they could stand behind and would suggest to their own friends and family. Linda also wanted to make sure it would carry a big enough selection for others as well. Now, Sandbox Lane is always updating their inventory and wanting feedback on what others want to see. 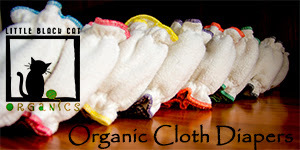 Their motto is: "spread the word: bringing eco-friendly products into a child's world can make a lasting effect on their life to come." I always love working with family-run businesses, and Sandbox Lane is no exception. 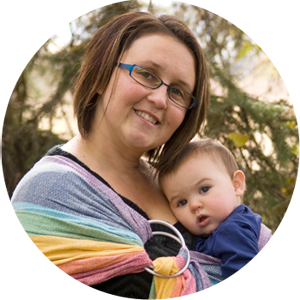 I feel they are well on their way to accomplishing just what Linda had set out to do; their online shop is stockpiled with cloth diapers, feeding gear, swaddle blankets, yoga gear, stuff for mom, and more. All of it makes sense and are eco-friendly products to feel good about! 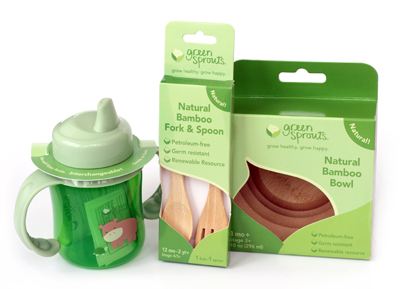 In the mail, I received a natural bamboo bowl ($5.95) along with a bamboo spoon & fork set ($3.95) as well as a BPA-free sippy cup ($9.49). I was excited to try these eco-friendly options from Green Sprouts. I made sure to give everything a good, soapy wash before its first use. Worth mentioning is that the bamboo is so natural and unprocessed that it definitely does still have natural oils in it. I put the bowl down on my white paper backdrop to photograph it, left it for a day or two, and came back to find a ring of natural oil staining the paper. So, be sure to give the bowl and utensils a good soapy wash before using it with food for the first time! Now, for any of you that have any other wooden kitchen implements (salad bowls, cutting boards, etc), you'll know the rule of thumb with wood--be good to it. It is natural and it is porous, so be careful with foods that could stain it, or could allow excessive bacteria to flourish in its fibres (like raw meat). I treated this set with great care because I love it so much and was afraid of wrecking it. We use it primarily with "gentle" foods--things like soft cooked oats, or mushed fruit purees, soft banana segments, and the like. When your baby is at the finger food stage, this would also be great for little snacks like Cheerios, segments of cooked egg, and small bits of steamed veggies. Overall, however, because this is not microwave or dishwasher safe, I would still skip using this delicate item for things like blueberry puree, or reheating last night's spaghetti sauce. 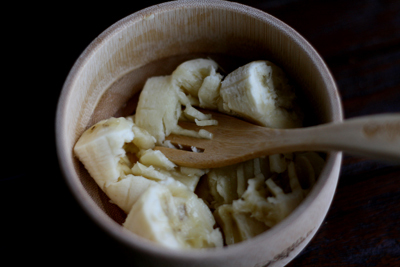 After use, just wash the bowl promptly with warm soapy water and a soft cloth--don't let food get caked on as it will increase the chances of staining or bacteria growth. Linda also sent me the Green Sprouts non-spill sippy cup. I used to think all sippy cups are created equal, but now that I have two to compare with one another, I know that's not necessarily true! Though I love the stainless steel sippy cup I have at home, it does have some traits that irk me. 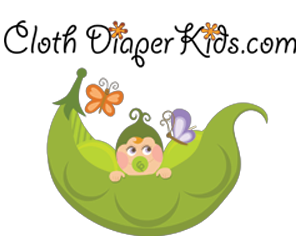 For one, the handles are attached to the cup and cannot spin, which means that if you get the lid on crooked, the handles and mouthpiece do not properly line up for baby's arms and mouth, which quickly becomes frustrating. Also, if the nozzle of my old sippy cup isn't perfectly aligned in the screw top lid, strange leaks spring out of everywhere, leaving dribbles and puddles and wet pajama lapels! 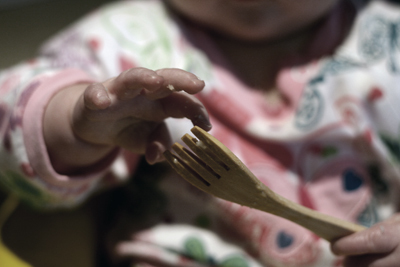 Also, though the stainless steel is easy to clean and is very healthful, it is so, so heavy for a baby to lift! Aurelia has never been able to pick up her own sippy cup well, and the one time she attempted it, she bonked herself in the nose so hard that a meltdown ensued. So, when this sippy cup came in its tiny package, I was immediately enamoured with how light it was, even though I hadn't tried it yet. A baby could drink from this on her own! I hypothesized with glee. That would leave my hands free to do the other million chores that always seem to need doing right at the moment when Aurelia wants a drink! I washed this set before use as well, and was pleased to see that it comes apart into four easy pieces: (1) the cup portion (2) the lid portion (3) the rubber valve inside (4) the screw-on handles. I LOVE that the handles screw on any which way you want so that they are ALWAYS positioned properly in relation to baby's arm/mouth distance. 1. It is small and light. It doesn't take up a ton of room. It doesn't fill with a ridiculous amount of water for a tiny baby. And baby can lift it on her own!! Hooray! We're still working on that hand-eye coordination to get it to hit mouth about 20% of the time, but we're getting there, and I can see that in a few weeks' time, it will probably work like a charm! 2. It doesn't leak. We've tried it every which way and been rough with it, and no leaks. We've left it upside down on the carpet and in the diaper bag. No leaks! Best yet, I've screwed the top on half-heartedly while talking on the phone and stirring dinner with one hand--still no leaks. I love how unfussy this is (especially compared to my last devil of a sippy cup!). 3. It is clear. 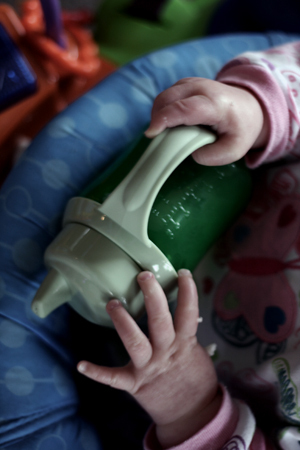 I forgot to think through a baby's eyes when using our previous, stainless steel sippy cup. It was just a massive shiny object, and Baby couldn't connect that there was actual WATER inside, for drinking. That also left me often wondering just how much was left in there while she was chugging, or if she was gulping air bubbles. With this thin cup, I can see how full it is (and no, she's not often drinking air when I was worried she was). Plus, it suddenly has become her new favorite toy, with all that leak-proof water sloshing around gleefully right in front of her eyes. Now that is $9.49 well spent, I tell ya! Overall, I have to thank Linda from Sandbox Lane so profusely. All these wonderful items are not only cute and darling and eco-friendly, but they are also PRACTICAL, and they work like they are supposed to, all with a low price tag! Sometimes, let's face it, that's what us moms are looking for most of all! 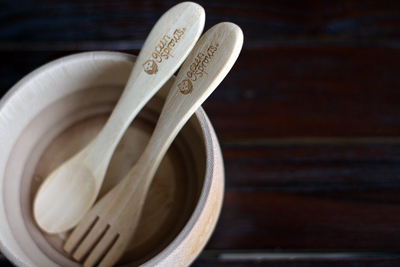 BUY IT: Visit Sandbox Lane to pick out your very own eating utensils or other eco-friendly items for terrifically low prices! Be sure to use our exclusive coupon code, CDC2011, and get 10% off everything (excluding bumGenius, flip, and econobum products)! You can also visit Sandbox Lane at their blog or on Twitter.